PRIME Minister Tony Abbott faces a growing tide of opposition to his idea of a deficit tax, with Opposition Leader Bill Shorten urging him to abandon it just two weeks out from the budget. Mr Abbott floated the idea of a 1% rise in income tax for Australians earning over $80,000, and more for bigger earners, last week. But after Coalition backbenchers riled at the plan, a Galaxy poll published by News Limited on Sunday has reinforced the political risks of the proposal. The poll found some 72% of voters surveyed believed the idea of a debt tax was a "broken promise" - a perception fed by attacks from Mr Shorten in the past week. Mr Shorten on Sunday again labelled the proposal a "broken promise"; after Mr Abbott said he could reduce the budget deficit without resorting to new or higher taxes before the election. The Opposition Leader said increasing taxes on working class and middle income Australians was a "terrible mistake", and that "people will not forgive Mr Abbott" if he went ahead with it. As Treasurer Joe Hockey pushes ahead with final preparations for his first budget due in two weeks, it is understood the tax was seen as a way to share the burden of returning the budget to surplus. But mixed reactions from inside the Coalition's party room, and attacks from across the political spectrum, have yet to cut through at the higher levels of the government. The poll published Sunday also found only 15% of respondents older than 50 believed the government should go ahead with the tax increase, and 77% did not support it in the current economic climate. 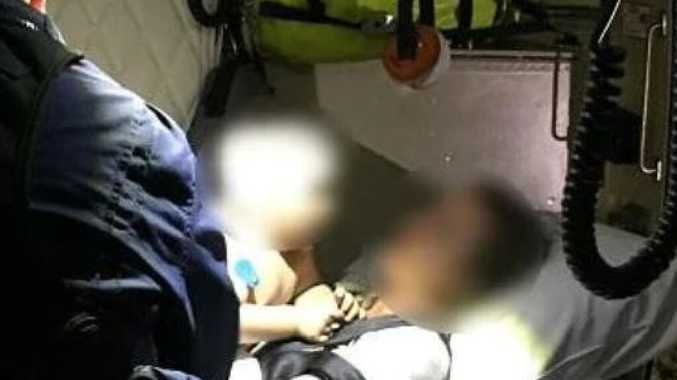 News A 14-month-old toddler rescued from the jaws of a dingo by his father has been released from hospital.